Not everyone that comes to Wildhorse is focused entirely on getting in lots of vertical. 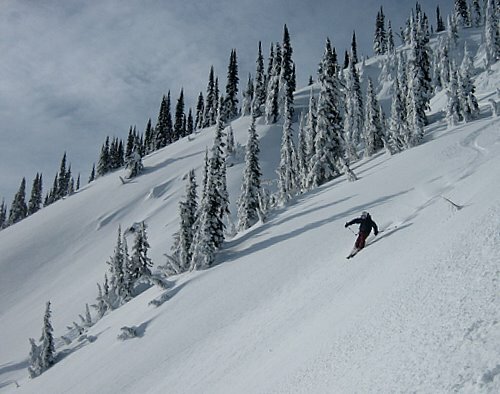 As ski-tourers know, putting in some extra time and effort can provide big rewards. 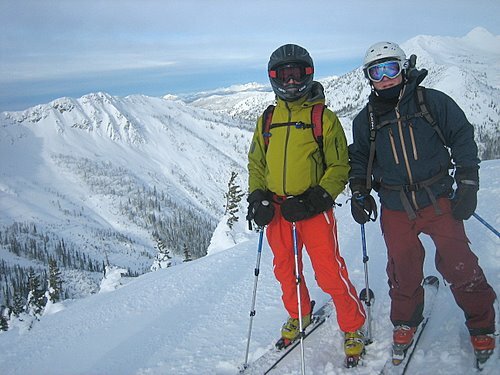 I recently got to show around a couple of our regulars, who wanted to make the most of a rest day on their annual cat-skiing trip. 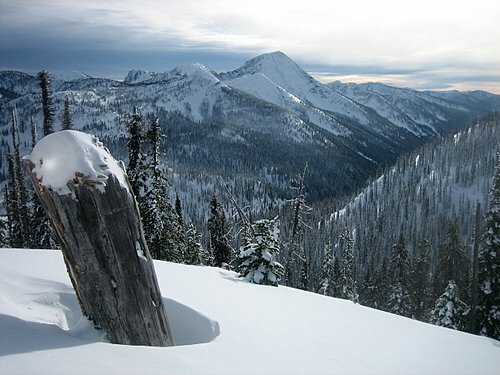 We snowmobiled to the top of our road network, climbed to the summit of Wildhorse Peak, and skied the long, open, and otherwise inaccessible South face in perfect conditions. With plenty of boot-packing, traversing, and side-stepping required to link it all together, the whole experience was a major work-out for guys that don’t regularly do this sort of thing, but they toughed it out and had a great time. It looked like a great line,we wanted to ski it on the way out.It’ll be done next time for sure.We spent 4 days touring out of Wildhorse cabin and had a great time.The avi conditions let us ski some wicked lines ourselves,surprisingly.It was super “creamy”.an excellent touring area,easy access,great lines and the cat track home is a nice treat,easily followed in the dark.